Start your free 30-day trial right now! 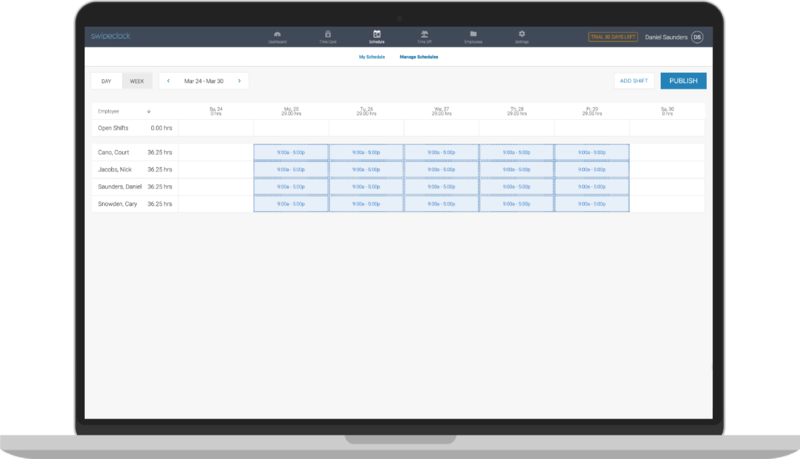 Start creating schedules, tracking time and accruing PTO in just a few minutes. 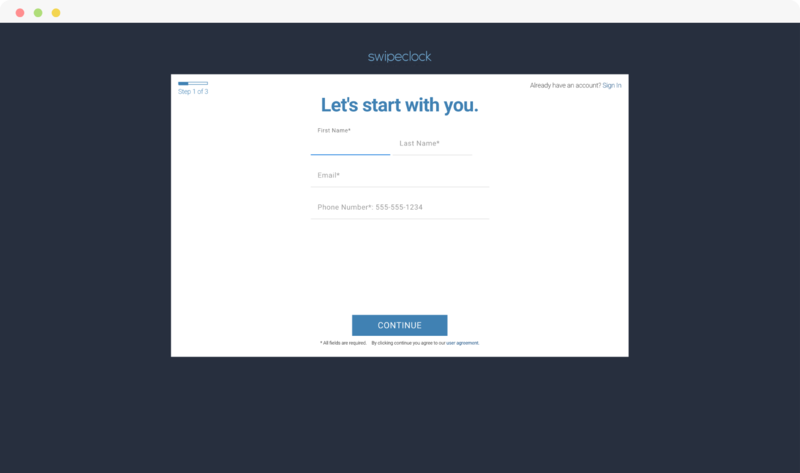 TimeWorksExpress features a revolutionary self-provisioning sign up process. TimeWorksExpress will create your account and set smart defaults so you can start using it right away. TimeWorksExpress makes tracking time simple and easy. Our mobile-friendly user interface gives employees a convenient way to clock in and out. Intelligent clock features assure correct punches every time. Managers see who is working, on break, or approaching overtime. Export to payroll at the end of the period for quick processing. Simple. Build and maintain basic schedules quick and easy. Publish them in advance to improve employee adherence. TimeWorksExpress makes it easy for employees to view their schedule and make requests for time off. TimeWorksExpress offers basic scheduling features your small businesses needs without the complexity. 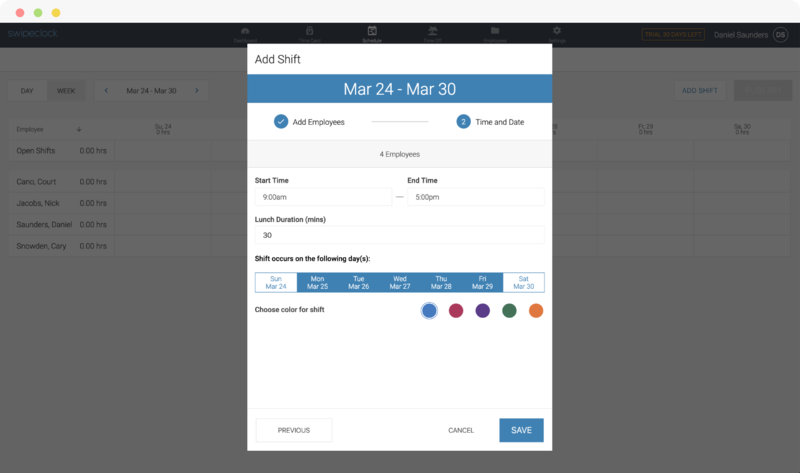 TimeWorksExpress makes it easy for managers to review and approve timecards. No more relying on memory to account for hours worked or breaks taken. Time off accruals are automatic and employees have a simple way to request and record PTO. Exporting time data for import into your payroll system is easy and accurate. No more manual transcribing or chasing down mistakes.